Pastors Scott and Joy are originally from Rockford, IL. 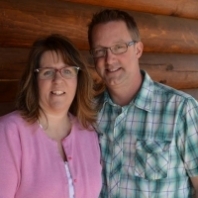 They have served in full time ministry for nearly 30 years as youth pastors, Master’s Commission directors, the South Dakota District Youth and Christian Education Director (DYD), and have held administrative positions in Christian Higher Education at Central Bible College in Springfield, MO (now merged with Evangel University) and North Central University in Minneapolis, MN. Scott and Joy have two sons. Trevor is currently the Next Generation Pastor at River of Life church in Onalaska, Wisconsin. Brandon is currently living in Milwaukee and volunteers in the Highlands Church children’s ministry. Joy is currently the administrative assistant and worship pastor at Highlands Chruch as well as the director of the Girlfriendz Ministry. Scott and Joy love the ministry of the local church, and want to see Highlands Church flourish as a family of believers.